How To Install Peruvian Virgin Hair In Different Ways? 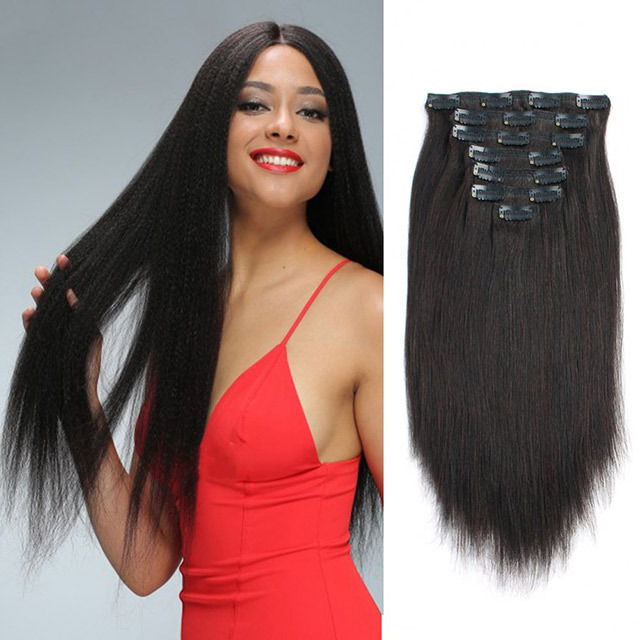 As a fan of virgin human hair, how to install Peruvian hair weave is the key to make a beautiful hairstyle. Do you know the ways to install virgin human hair? 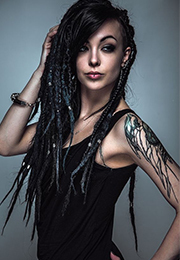 In this article, I would like to introduce several ways to install hair extensions so that you can do it easily by yourself at home. 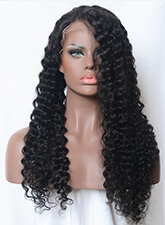 I will take Peruvian hair bundles as examples to show you how to install the human hair weave simply. 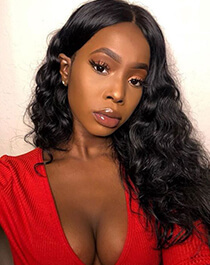 Most people think glue-in method is the easiest and fastest method to install virgin human hair and many girls prefer to use this method to install Peruvian hair weave. However, it may be damaged easily if it can not be installed with a correct way. Now here are two ways to install Peruvian hair with glue. The first way: Glue in Peruvian human hair is by braiding or laying your natural hair down and placing a weave cap over your head. The cap is a barrier between your Peruvian virgin hair and the glue. When the cap is intact, measure the track needed per layer, glue and give pressure to the head. The installing is finished. It’s really easy. This style is normally called a “quick weave”. The second way is the same with the first way just without the cap. 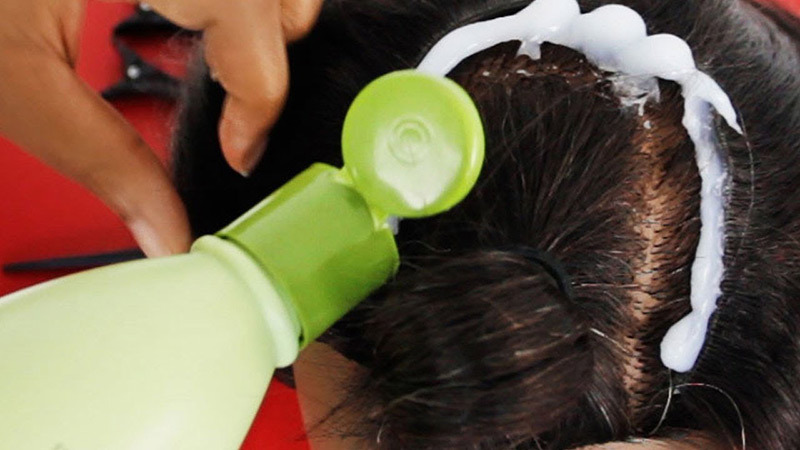 It needs use the tracks glue directly to your hair, if you don’t mind that, you can use the method. Certainly, a special type of glue is needed just for that option. The glue is more like a molding gel which can be used to your whole head, then let it dry and apply tracks. This method can offer a more secure and keep the long-time style. Normally, you can keep the Peruvian hair weave in place until you would like to take them out. As the preparation, you need a special needle, thread and your natural hair braided. There are two most common braid patterns for the sewing method, that is, a circular and straight back. The desired braiding pattern often depends on how you want the Peruvian virgin hair to lay or where your part will be located. 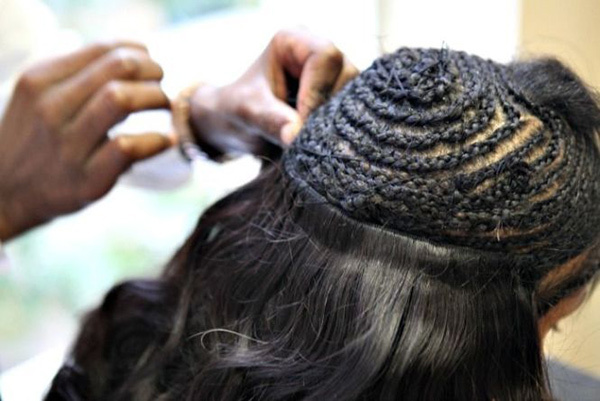 Before threading the Peruvian hair weave, we need to braid the natural hair up first. Put the thread through the needle and tie a knot to secure the thread in place first. Then, starting at either side of the nape of the hair, begin sewing the needle through braid then pull the thread all the way out, and repeat. In this way, the thread is locking the tracks to the braid, so it’s super secured. 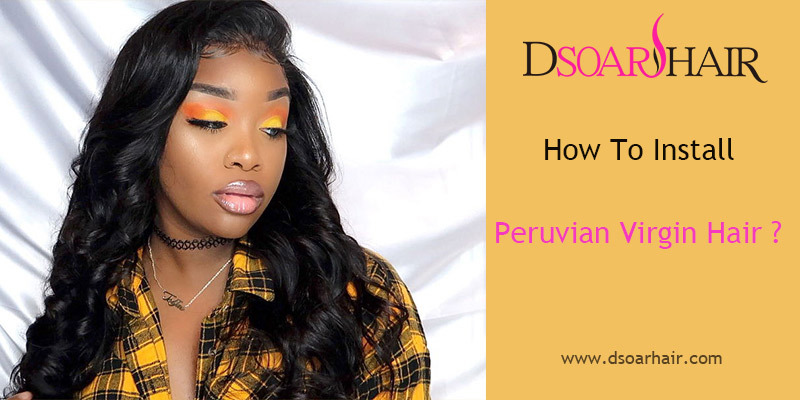 This method can be used for Peruvian curly hair weave, Peruvian loose weave hair and any other straight and wavy Peruvian human hair extensions. This method is used for the clip in hair extensions. It is a famous method which has been around since forever. The cutest clip-ins are popular among the people from celebrities, high schoolers and kids. 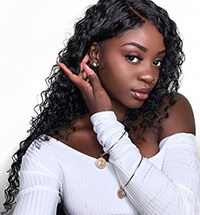 To install the clip-in hair, just part your own hair where you want the human hair weave to go and clip it onto your scalp like combing your hair. So if you were wearing a braid out style with your natural hair and you wanted a full look, clip-ins would be great to use. And it even needn’t to add many bundles of the hair, just need two-three clip-ins around certain parts of your head to make a fuller appearance. Crochet method is a new one. Now it is popular among many women. This method is a funny and quick hair weave installing method for almost anyone to do by themselves. When you install your virgin hair by crochet method, a crochet needle is needed firstly. Then braid your hair straight back as well. If you want Peruvian curly hair bundles, I suggest you choose this method, because the visible appearance of the loop won’t show compared to the possibility of straight hair. All you do is slide the needle through the braid, open latch on the needle, add hair, close latch, and voila! All done! These are the methods to install Peruvian virgin hair. You can choose them according to your preference to make a gorgeous hairstyle by yourself.